Based on positive member feedback on the 2018 mini-symposium program format, we have planned 5 programs for 2019. Each of these will be 4-6 hours in length which allows for a deep dive into the subject matter, and ample time for networking and Chapter business. We will continue to address issues related to professional growth, design exposure, national certification and business/legislative advocacy. Be sure to share your thoughts and ideas with the Program Committee! When we design or install landscapes, we’re often faced with making decisions about the existing soil on site. Is this soil “right” for the plants, and for the long-term health of the garden? Which amendments should we use for various soil conditions, and how do the different types of amendments build and improve soil? What methods can we recommend to our clients for improving and maintaining the health of their soil? What soil tests should we use and how do we interpret them? Our speakers will address the science of soils and the practical use of this knowledge. They may have different perspectives on the topic of soils, but the collective information you take away from this presentation will provide you with the knowledge to make informed choices for your clients, and for you! Linda and Anne will have their books available for sale at the event. Please bring cash and/or checks if you’d like to purchase a book or two that day. Linda will also accept credit cards. You will pay Anne and Linda separately, so bring more than one check if you’re purchasing books from both of them, and paying by check. See below for book titles available. 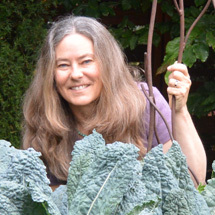 Dr. Linda Chalker-Scott has a Ph.D. in Horticulture from Oregon State University and is an ISA certified arborist and an ASCA consulting arborist. She is WSU’s Extension Urban Horticulturist and an Associate Professor in the Department of Horticulture, and holds two affiliate associate professor positions at University of Washington. She conducts research in applied plant and soil sciences, publishing the results in scientific articles and university Extension fact sheets. Linda also is the award-winning author of five books: the horticultural myth-busting The Informed Gardener (2008) and The Informed Gardener Blooms Again (2010) from the University of Washington Press and Sustainable Landscapes and Gardens: Good Science – Practical Application (2009) from GFG Publishing, Inc., and How Plants Work: The Science Behind the Amazing Things Plants Do from Timber Press (2015). Her latest effort is an update of Art Kruckeberg’s Gardening with Native Plants of the Pacific Northwest from UW Press. In 2018 Linda was featured in a video series – The Science of Gardening – produced by The Great Courses. She also is one of the Garden Professors – a group of academic colleagues who educate and entertain through their blog and Facebook pages. Linda’s contribution to gardeners was recognized in 2017 by the Association for Garden Communicators as the first recipient of their Cynthia Westcott Scientific Writing Award. 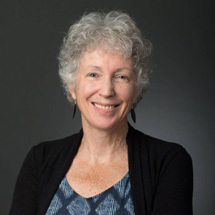 Anne Biklé - biologist, science communicator, and author, has over two decades of professional experience in field biology, natural history, and environmental planning. She previously worked in local government on stream and river restoration as well as public health. Anne now does public speaking and writing full-time, focusing on plants, food, farming, health, and the environment. She is the co-author of The Hidden Half of Nature: The Microbial Roots of Life and Health, a collaboration with her husband, geologist, David Montgomery. The book shares the story of our tangled relationship with the microbial world in agriculture and medicine and how new science is upending old notions. Her work has appeared in magazines, newspapers, radio, and podcasts, and her soil-building practices have been featured in independent and documentary films. Tad Hussey is the owner of Keep It Simple, Inc. which does business as KIS Organics (kisorganics.com) and KIS Farm (kisfarm.com) in Redmond, WA. He received his BA from the University of Washington in 2000 and his Masters from Macquarie University in Australia in 2005. 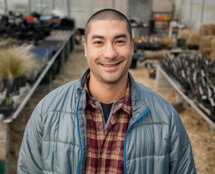 His company's mission is to help growers work toward more sustainable and environmentally friendly ways of growing plants using science-based horticulture. 9:15 - 10:00 - Linda Chalker Scott : Digging up the dirt on soil myths. This session will help attendees learn about soil products and practices that (1) aren’t based on science, (2) are misapplied from agricultural science, or (3) are over-extrapolated beyond their efficacy limits. Alternative, science-based soil management practices that are relevant to human-altered landscapes will be discussed. 10:00 - 10:45 - Anne Biklé - The Hidden Half of Nature, will focus on the science of the soil microbiome, which is sweeping through agriculture and the world of gardening. Anne will focus on the main points of this new science, including the concept of soil health and how it relates to plant health. 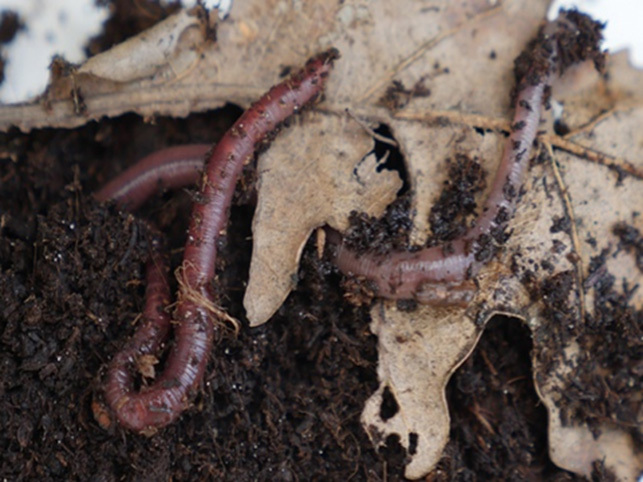 In many ways, soil is like the gut of Earth. When viewed in this frame, it becomes clearer why what we feed this great gut can profoundly influence the design and maintenance of landscapes and gardens as well as the looks, resilience, and enjoyment that their clients covet. Principles of the soil and plant microbiomes, and how landscape and garden practices can improve, and support microbiomes are among the topics Anne will cover. The importance of soil testing, sourcing quality soils and materials when designing landscapes for long term health, and the role of both mineral balancing and microbiology in healthy soils. Why he encourages landscape contractors, landscape architects, and designers to request soil tests or lab analysis on any soils and compost they purchase, in addition to recommending a soil test for the soil they are planting into, if using native soil. What tests to consider, costs, and how to read the soil tests. Soil microbiology and its importance in plant health and the role it plays in nutrient cycling. The Science of Gardening (DVD series by The Great Courses, $50). CEUs for ASLA, APLD, CPH and Eco-Pro are pending. In the event that APLDWA has to cancel any APLDWA sponsored event for any reason, we will provide upon request, refunds to the maximum extent possible. Attendee refunds will be available, upon request, if the cancellation is made no later than one week in advance of the event. Our next gathering will be the Soils – Analysis and Remediation Mini-Symposium on May 20th on the Mercer Island. Conference registration is open! This year’s national conference is here in Seattle, July 25-29, 2019. APLD does so much for each of us, yet nothing compares to the fantastic conferences. Do yourself and your business a favor and join our fellow designers from around the nation to hear some great speakers and tour some fantastic gardens. Enjoyment, design ideas / solutions, and camaraderie are guaranteed. More info here. Visit us at Facebook to see photos of our events and what are our members are up to. Click here to notify us of an upcoming event, news, or member activity.